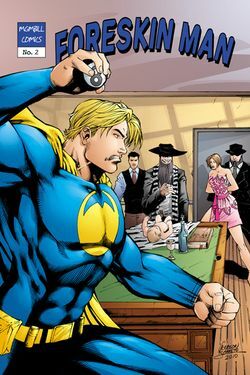 Meet Foreskin Man, the blonde, muscular comic book hero who has stirred outrage with his battle against Jews in a campaign to ban circumcision in San Francisco. Defenders of the measure, which is on the election ballot in November, say it’s all about “human rights” and “protecting babies” from unnecessary procedures. But critics suspect there is something anti-Semitic about the whole proposal, since among Jews (and Muslims, as well) circumcising male babies is a religious duty, not just a mistaken medical procedure. 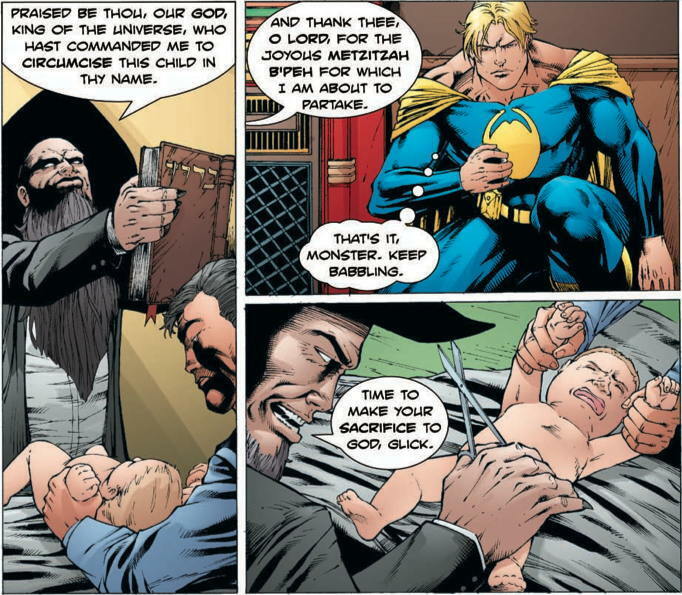 Foreskin Man, written and created by Matthew Hess, takes on Monster Mohel, a bearded black-hatted man wearing a prayer shawl who leers as he leans over a baby, scissors in hand.